the largest organic pea protein fractionation facility in North America. 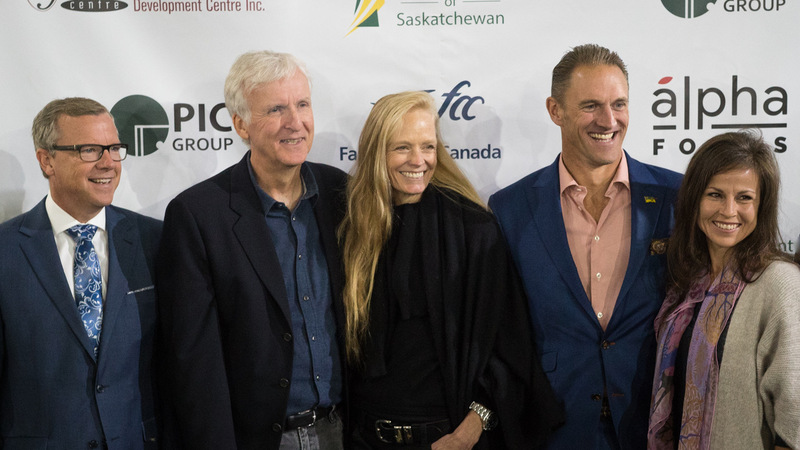 (Saskatoon, Saskatchewan; September 18, 2017) – Oscar-winning film director and Canadian native James Cameron and his wife Suzy Amis Cameron announced today the formation of Verdient Foods Inc. On September 18th, 2017, Verdient Foods will open a new pulse food processing facility in Vanscoy, Saskatchewan, near the province’s largest city Saskatoon. Once fully operational, the 160,000 metric-ton facility will become the largest organic pea protein fractionation facility in North America. The province of Saskatchewan, with some of the healthiest soil in the world, has a lengthy history of fostering elite agricultural businesses and educational institutions that are at the forefront of plant-based protein solutions. The Camerons have entered into a four-year research contract with the non-profit Saskatchewan Food Industry Development Centre (“Food Centre”) and its president, Daniel Prefontaine, to develop value-added organic food products that will be produced by Canadian and global companies using ingredients from their Verdient Foods plant. Verdient Foods Inc. is deeply indebted to the efforts of the Honourable Brad Wall, the Premier of Saskatchewan, and his ministers who have created the roadmap for how to do business in Saskatchewan. Verdient Foods opened its facility in September 2017. The company recognizes the increasing global demand for sustainable, organic plant-based protein. Its operations include a state-ofthe-art pulse crop processing facility based in Vanscoy, Saskatchewan; the heart of Saskatchewan’s pulse-crop production area. Verdient Foods’ focus is value-added processing of proteins, starches and fibres extracted from Saskatchewan-produced pulse crops using a dry fractionation process. For more information, please visit www.verdientfoodsinc.com. PMC Management LLC is the operating company for Verdient Foods Inc. and other Cameron family agricultural interests. For more information, please visit www.pmcmanagementllc.com.